I've had this item for only a short time now but decided it was time to put it up on the website alongside the other Code 3 models. 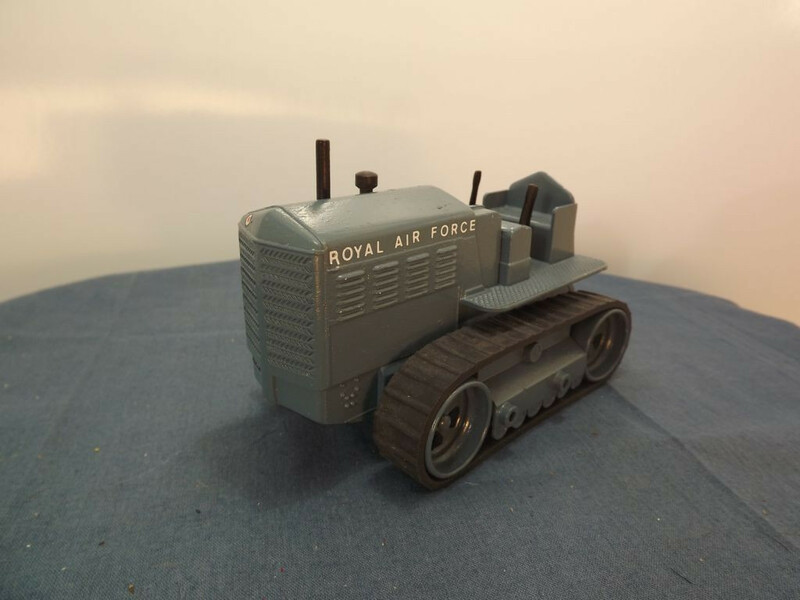 I am not the builder of this Code 3 model - the donor model has been a 561/961 Blaw Knox Bulldozer (going by the base) from Dinky that has been stripped and repainted - this is pretty obvious as it now sports the colour scheme of the RAF together with appropriate signage. The paint job is excellent and the item displays very well. 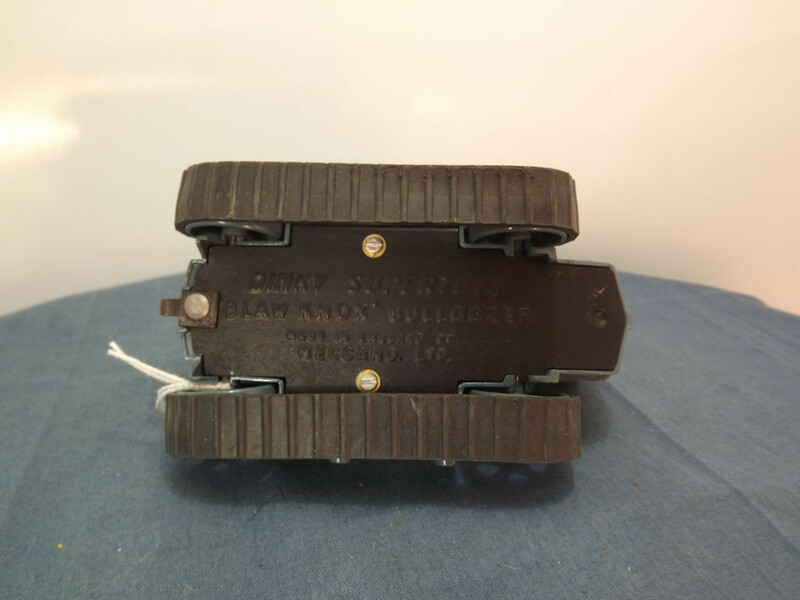 I'm assuming it was chosen as the donor model as the bulldozer blade had broken as this part of the casting is missing but the mounting holes for the blade are still visible on the model. The vehicle has had little else done to it apart from a repaint in RAF Blue. At the front the radiator has been adorned with an RAF roundel and what appears to be a numberplate decal that reads "34 AF 21" in white lettering on a black background with white surrounding line. This may be meant to be its armed forces numberplate (assuming the AF = Air Force). Both sides of the engine cover have "Royal Air Force" in white letters. The rear of the model sports another RAF roundel, another white on black numberplate, and "T588" in white letters. 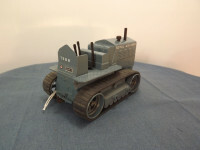 The body casting retains its black stack and air cleaner on the engine and the black tinplate levers have been replaced using a small self tapping screw to hold them in place (they may be reproduction items). The driving wheels are painted RAF Blue and support black rubber tracks. 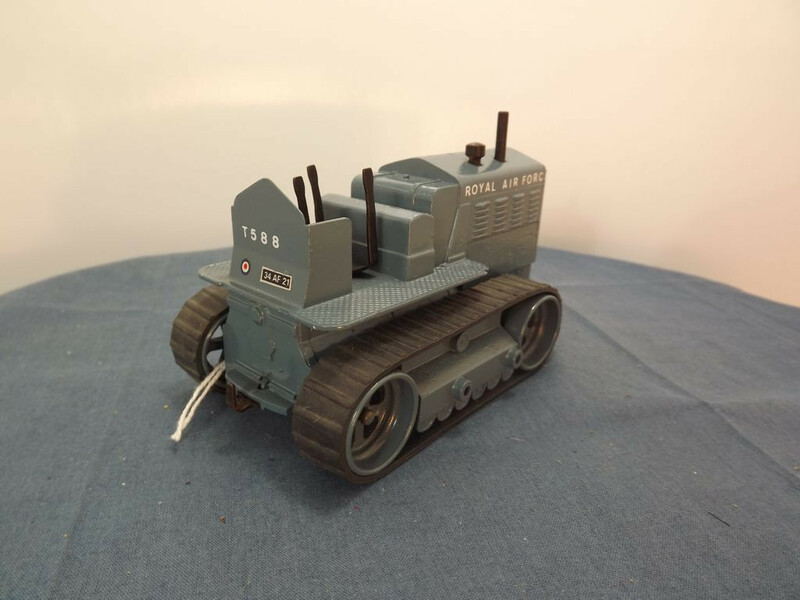 The baseplate is black tinplate and carries the legend Dinky Supertoys at the centre top, "Blaw Knox Bulldozer" at the centre middle, and "Made in England, Meccano Ltd" on two lines at the centre bottom. 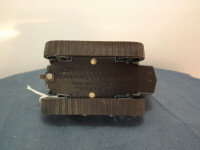 It retains its original tow hook and is fixed by means of two small self tapping screws to the left and right of the model. This casting was used between 1949 and 1964.